This will be the start of reworking the pages devoted to my favorite Belgian beers. At some point I intend to have my Top 10 by province, but I really didn’t think that including Trappist beers with my standard favorites diluted the intention of the actual Top 10 list. Although I would actually include 2 or maybe three beers from one Trappist brewery; this also would dilute the list, so I will only list my favorite from each monastery. BelgiumKing Readers – Please Note! Trappist breweries exist solely within the walls of secluded Cistercian monasteries. These breweries DO NOT allow tours or visits, unless you happen to be with someone familiar with the monasteries and might have the ability to visit them. If you ‘stop by’ hoping to have a visit; it will NOT happen. If you try, you will find that they are not very amicable to people ringing their bell hoping you might be allowed in. A couple of them, like Koeningshoeven, does have scheduled tours and Achel, will allow you to view their small brew kit from the cafe window. All of them have some type of ‘cafe’ that allows you to visit and try their beers and at times, might have some product for sale…but this is not guaranteed. Wh en I first tasted this beer in 1998, the eternal question was answered. For years many people would ask me, “What’s your favorite beer?” And this was a question that had no easy answer; until Westvleteren. This beer, brewed by St. Sixtus Abdij in the Southwest region of Flanders is in a class by itself. I could go on for pages speaking about the history, the brewing, and the fermentation of this beer and the beauty of the region. It is one of my favorite visits on every trip to Belgium. St. Sixtus is one of the 11 ‘approved’ Trappist breweries. It is a ‘cloistered’ monastery, which means that they do not allow visitors. They do have a ‘guesthouse’ where visitors may come and stay for a period of time, but it is expected that the visitor will rise with the monks, partake in the daily activities, eat and sleep at the same times. It is not possible to visit the brewery, even if staying as a guest. Brother Joris, who once was in charge of brewing operations, allowed me to visit once several years ago and after spending the morning with him, I found him to be a very articulate man who is very humble about the fact that he produced one of the world’s finest beers. His dedication to the craft and to the security and stability of Westvleteren beers and the integrity of the Trappist designation is never doubted. Brother Joris now heads the International Trappist Organization and the head brewer position is now with Brother Benedikt. I have been very fortunate to visit on several occasions but it was due to my media affiliations. Westvleteren 12 (Gold Cap) pours a very dark brown with a creamy tan long lasting head. This is very unusual for a beer with 10.2% alcohol. The aroma is very complex and rich with notes of plums, dates, raisins, hints of chocolate, caramel, pepper and a nice floral tone. The taste follows through with the same characteristics as the aroma with a great mouthfeel and residual malty sweetness. The alcohol is subdued but noticeable. This beer is meant to be enjoyed at cellar temperature of 54-58 degrees. Westvleteren also comes in a Blonde (6- Green Cap) and 8 (Blue Cap). The caps carry all the information about the beer; there are no labels. Currently the only way to purchase Westvleteren beers is to make an appointment with the Abbey and drive through their beer koop (drive thru) and pick up one or two cases per visit. Not every style is always available. Westvleteren is not available in any beer stores or pubs in Belgium except for a select few that are a well-kept secret. Chimay beers are brewed by the Abbaye de Notre Dame de Scourmont and is another one of 11 Trappist breweries. 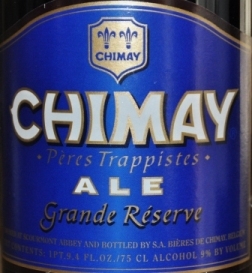 While Chimay is one of the most commercial of the Trappist breweries; Chimay Blue remains a world class beer and is usually one I will share with people new to Belgian beers. It pours a very dark ruby brown with an off white head that does not remain long. Aroma is dark tropical fruit, great malty tones, spicy peppery notes, some oak tones mixed with licorice and chocolate. Flavor is a very rich malty beverage with a great caramel, cocoa, spicy, herbal tonic sure to cure anything that ails you. The water for the brewery is drawn from a well located inside the monastery walls. The filtered solids from the mash are used for livestock feed for the cows that produce the milk for the Chimay cheeses. After each brew is done fermenting, the beer is transported from the monastery to the bottling plant in the town of Baileux, 12 km away. The bottling plant can fill 40,000 bottles per hour. Over half the bottles used are returns and Chimay also separates bottles from other breweries and returns them to the selective brewery. The beer is then refermented in the bottle for three weeks before being shipped around the world. 25% of Chimay beer production is sold on the export markets. Chimay also produces Primere – a red ale and Cinq Cents – a Belgian tripel. Most recently, they released the Chimay Doree – which was the monks table beer that had a huge problem with people secreting bottles out of the monastery tasting room and selling on the black market – so they just released it for standard production. The Abbey and brewery do provide tours at specific times, but that information is a bit hard to determine and I am not able to assist in this area. 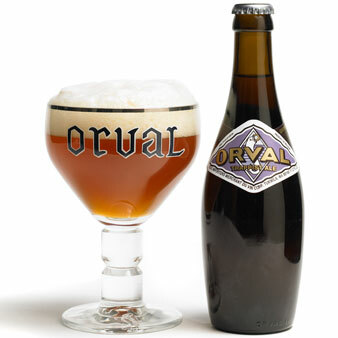 Orval is unique in it’s style for a Trappist beer. It is a light golden ale with a nice hop bite, great effervescence and a secret ingredient…a dose of brettanomyces when bottled. The beer is made with spring water from the on-site spring, barley, hops and candi sugar…that’s it. Hops are not added during the boil, but are added in huge hop sacks once the beer is done brewing and then hops are also added as a ‘dry hop’ addition during conditioning. Orval has a sunset orange color; a fruit and floral aroma with some slight acidity, a medium firm body, and a nice evident hop bitterness with a long dry finish. Due to the addition of yeast during bottling, Orval can be aged up to 15 years according to the brewery; but I have had 30 year old examples that were stellar. The Orval you find in the store in the little ‘bowling pin’ bottle is the only one they produce for sale, but they also make an Orval Petite for the monks and it is available at the tap house next to the monastery. The Roch efort range of beers includes Rochefort 6,8 & 10. Rochefort is also a Trappist designated beer and is brewed by the Abbaye de Notre Dame de Saint Remy in the Ardennes foothills. Most of my friends like the 10-degree style better than the 8, but I think the alcohol content might sway their opinion. Personally I feel the 8 has more complexity and less fusels. As for the 8, it pours a dark reddish brown with a nice off white head. It starts with a nice earthy malty aroma with hints of dark fruit, dark sugar and slight florals. The taste is very malty with dark fruits, bread, some floral hop aroma and an alcohol presence. Wonderful aftertaste with some residual sweetness and a warming alcohol feel. 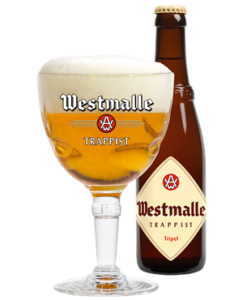 The Westmalle Abbey is the second oldest Trappist Abbey in existence and the oldest Trappist brewery, starting their brewery in 1836. 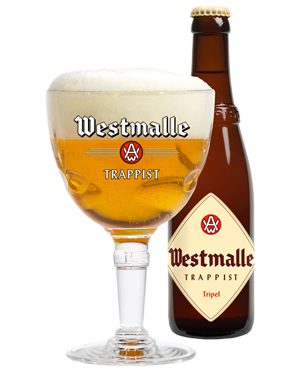 Westmalle Tripel is what all other tripels should be comparing to as this is rated the number one tripel on the planet. It is a very complex beer with a nice floral and fruit aroma and just the correct amount of bittering hops to equal out the sweetness from the malt and added sugar. It has a soft and creamy mouthfeel with a nice hop bite and sting from the alcohol. This is another world class beer. Westmalle also make an incredible dubbel and also a ‘monks beer’ called ‘Extra’ which is a dumbed down version of the triple, closer to a mild blonde. The Abbey De Achelse Kluis is the newest of the Belgian Trappist breweries. They produce 3 beers for resale and also have 2 beers of lower alcohol content on draft at the tasting room. Their tasting room and cafe are unique, as all the other monasteries have tasting rooms/cafes separate from the actual monastery where Achel’s is on the grounds. The Achel Extra is a strong dark ale similar to an imperial dubbel. It pours a dark chestnut color with a large frothy head that lingers for some time. The aroma is dark crystal malts with nice notes of raisins, figs, dark bread, chocolate and fusels. Mouthfeel is medium bodied, generous carbonation with a lingering sweet/bitter finish. This beer is a traditional example of a great Trappist beer. 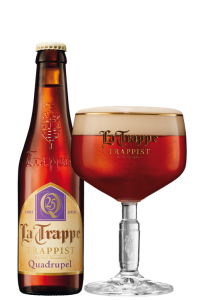 La Trappe Quad is the first quad ever produced. It was first brewed over 25 years ago and is now a solid ‘style’ in the brewing community. this beer sits at the top of the La Trappe range of beers. At 10% alcohol by volume, it’s a big dark amber beer with a rich, warming flavor. Full-bodied and mild, slightly sweet and just a hint of bitterness round out the palate. There are faint notes of frit in the aroma with some nice yeast character and a nice hops character. This beer can benefit from ageing and can be aged up to 15 years. While I enjoy most of Specer’s products, this Holiday ale is really a great beer. It is mahogany in color, pours with a full frothy head and the aroma is spectacular. Full of great holiday aromas like nutmeg, clove, pepper along with some grassy hay aromas that all follow through into the taste. 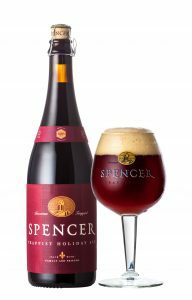 This is NOT overly spiced as many holiday beers are, the spices are just enough to make the beer extremely pleasant and causing the drinker to want to enjoy this beer. The finish is lightly sweet and leaves the desire to have another sip. Stift E ngelszell Abbey has been in existence since 1292 and is the only Trappist abbey in Austria and the only Trappist brewery there. They have only been producing beers for a few short years but the beers are very good. 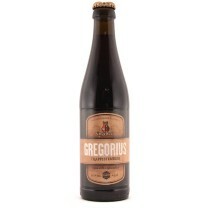 Gregorius is the dark strong/quadruple ale produced and is a very nice beer. Personally I prefer it when it is about a year old or older as it is a bit rich when very fresh. Aroma will have nice notes of spicy herbs and licorice aromas dominate along with some fruit character. The flavor is intense dark malts with some toasted bread and coffee notes. The abbey uses local honey to cut down on the astringency of their roasted malts. Note: I strongly advise that you allow this beer to ‘mellow for 12-18 & be very surprised at the differences. 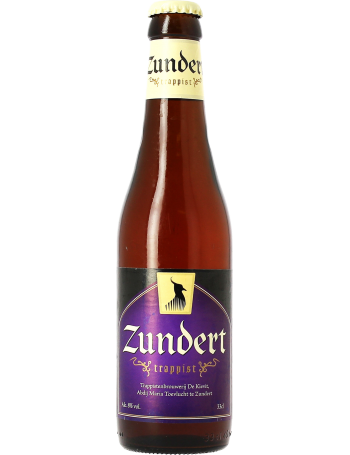 Zundert has a highly promising aroma with a hint of herbs and spices. 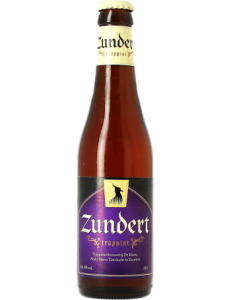 Initially Zundert Trappist will be floral and slightly sweet. Give the beer some time and the character develops from light caramel to a lovely, dry and hoppy bitterness. In the long finish the bitterness melds with a pleasant spiciness in the background.